BBC Arabic annually rewards the most promising person aged 18 to 30 with a prize that includes training, mentoring and equipment. The recipient will receive this support to develop a new documentary project, with the potential for it to be commissioned by the BBC. The end project also has the potential to air on BBC Arabic TV and screen in the following festival. Jumana Saadeh is a filmmaker from Jordan. She is currently a producer at the international marketing agency, Young & Rubicam, in Amman creating video and audio content. Second Hand Refugee is her first documentary. It was screened at the Al-Jazeera Documentary Film Festival in Qatar and the Altın Çınar Film Festivali in Turkey, before winning the BBC Arabic Young Journalist Award in 2015. Jumana holds an MA in Film Production from the University of Central Lancashire. Like many others, a Palestinian family from Hebron was forced to leave Palestine in 1948. Exiled in Jordan, their Jordanian citizenships were revoked after the Black September events of 1970 and they were, once again, driven out of their homes. Sent to Syria to settle in the Yarmouk refugee camp in Damascus, this time they were not given any citizenship papers and were considered 'unidentified'. Today, this family faces yet another expulsion. After hearing about their father's execution via Facebook, the family decided to leave Yarmouk back to Jordan despite their lack of identity papers. Through Second Hand Refugee, audiences hear Thawra, Farah and Ahmed tell their story of life without formal identity papers and their repeating history of displacement. 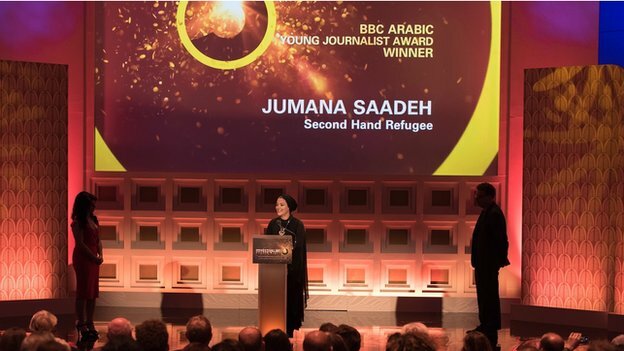 In 2014, BBC Arabic awarded two young journalists who showed an in-depth and unique view of a current issue in their respective city. Abdelfattah Farag is an Egyptian journalist. He made his first film, Saber, in 2013, documenting the life of one of Cairo's growing number of unofficial garbage collectors. 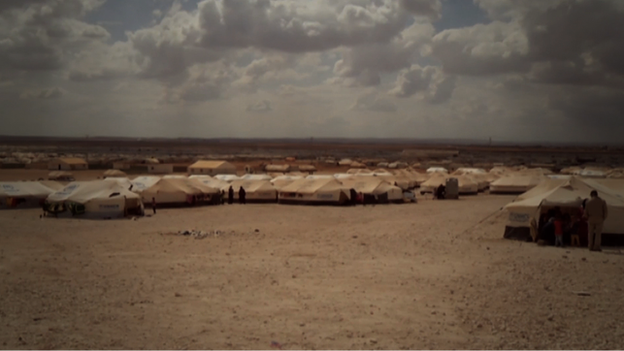 For this film, Farag was awarded the 2014 BBC Arabic Young Journalist Award, receiving mentorship and training with the BBC Arabic bureau in Cairo. Shayma is his second film. Made with the support of his training and equipment, Shayma premiered at BBC Arabic Festival 2015. 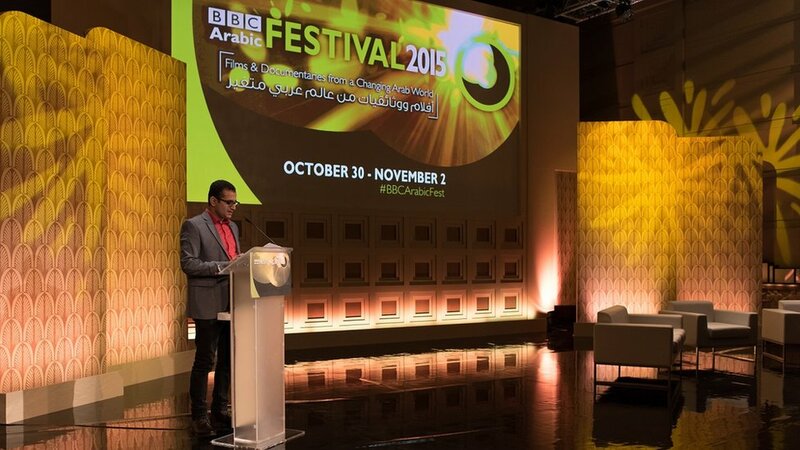 The Opening Ceremony of the 2015 BBC Arabic Festival presented invited Farag back to present the film borne out of this reward. Abdelfattah blogged about his experience training. You can read his blog here. Shayma is a hard working woman in her 30's defying the odds of gender-based expectations. Her relationship with her colleagues are her closest friends and her boss shows her a lot of respect. She considers her workplace her home away from home. But her body is filled with visible scars acquired from work-related injuries from over the years. 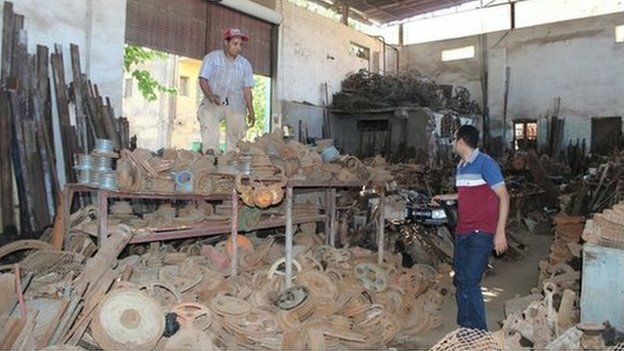 For 12 hours a day, Shayma sorts, collects and transports junk iron. She is the only female labourer in a male-dominated iron junk shop. In this short documentary, director Abdelfattah Farag explores her life, dreams and aspirations as the only woman in western Egypt working in this industry. Amal Salloum is a Syrian citizen journalist who has made a number of TV reports about the ongoing revolution there. Salloum was awarded for her short documentary, Dr. Qasem. 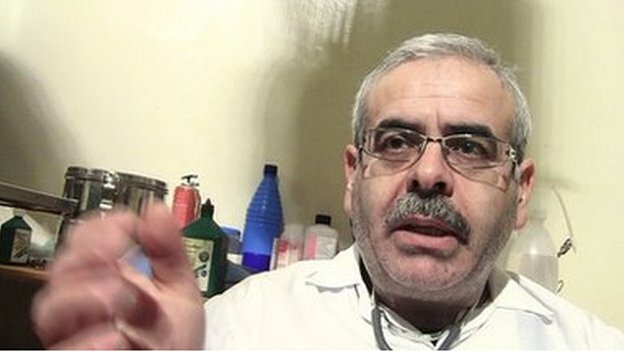 Dr. Qasem is a portrait of a medical doctor who, between 2011 and 2013, worked clandestinely to help the wounded in Homs. Salloum's award is currently being developed.